As I write these words, we are no more than a few days away from the hundredth anniversary of one of the great events in musical history. 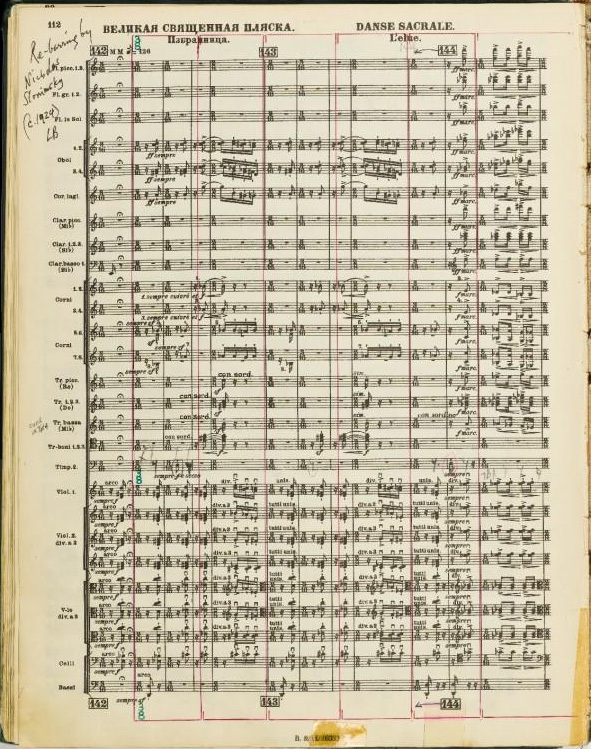 May 29, 1913 was the date of the first performance of Igor Stravinsky’s The Rite of Spring, one of the most tumultuous first performances ever. The Paris performance was by the company known as the Ballets Russes, whose founder and leader Sergei Diaghelev specialized in bringing together the latest in music, dance, costume and design. 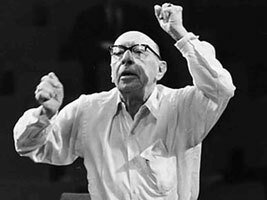 The orchestra was conducted by Pierre Monteux, accompanying new choreography by Vaslav Nijinsky. As was noted by many people who were at this first performance, a murmur of protest began in the audience from the very start of the music, which increased and redoubled as the dancers appeared in primitive costumes. Half the audience appealed for order, and the other half violently protested the music. The uproar grew into fistfights, and the police were called to keep order. For my part, I first heard the Rite as a teenage high school student. With some curiosity, I borrowed the LP recording by Leonard Bernstein and the New York Philharmonic from the public library. I had never heard the work and was astonished at what I was hearing, and that music could be like this, so different from high school music appreciation classes or from the Haydn and Heller of my piano lessons. I listened to the recording over and over, with fascination and amazement, not believing that such a piece could actually have been created, and longing to hear it in live performance. A year later, I did manage to hear it in concert, by the Cleveland Orchestra conducted by Lukas Foss. Hearing the Rite led me to listen to and to learn from other challenging works of music, and to begin to appreciate the effect that music could have on one’s very existence. If a single work could be said to change someone’s life, it was The Rite of Spring that did it for me. In a future blog, I will delve into the details and differences of the varying editions of this work. Charles Slater, former Chief Financial Officer, had been with Pepper for more than 30 years.